Inspired by the best fresh fish in the British Isles found in Millaig, Scotland. Hand screen printed onto beautifully textured paper made in England. 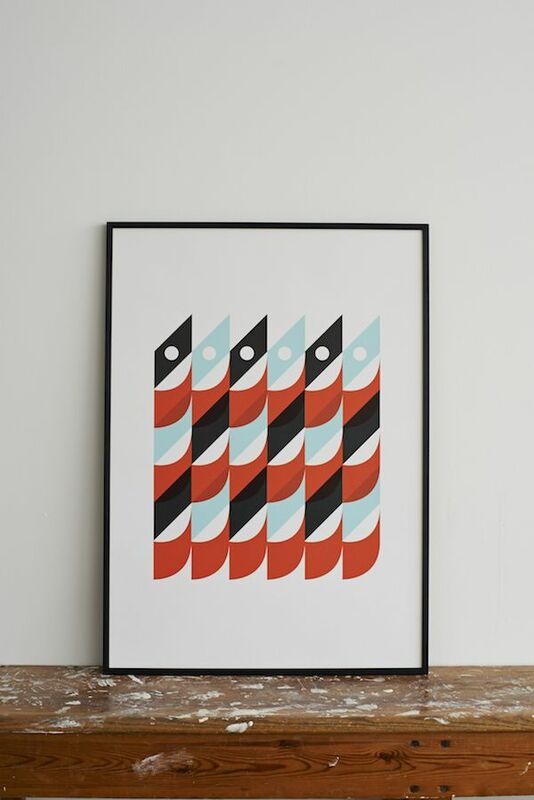 The hand-pulled screen prints are lovingly printed by highly experienced craftsmen in Nottingham, UK. Lane's paper is produced by one of the oldest and last remaining speciality paper makers based in the Lake District, UK.